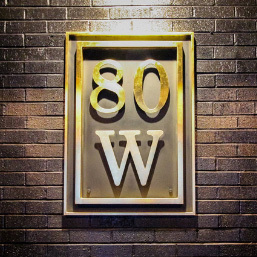 RYP Social: 80W | Rochester Young Professionals, Inc.
80W is never open on Tuesdays – except for Tuesday, May 7th when they’ll be opening exclusively for RYP members! This is a great opportunity to check out their beautiful space and make some new friends hanging out. The atmosphere in trendy yet approachable. Enjoy a drink at the bar or your own comfy corner of the numerous semi-private lounge areas. Several drink specials will be available. We hope to see you there!